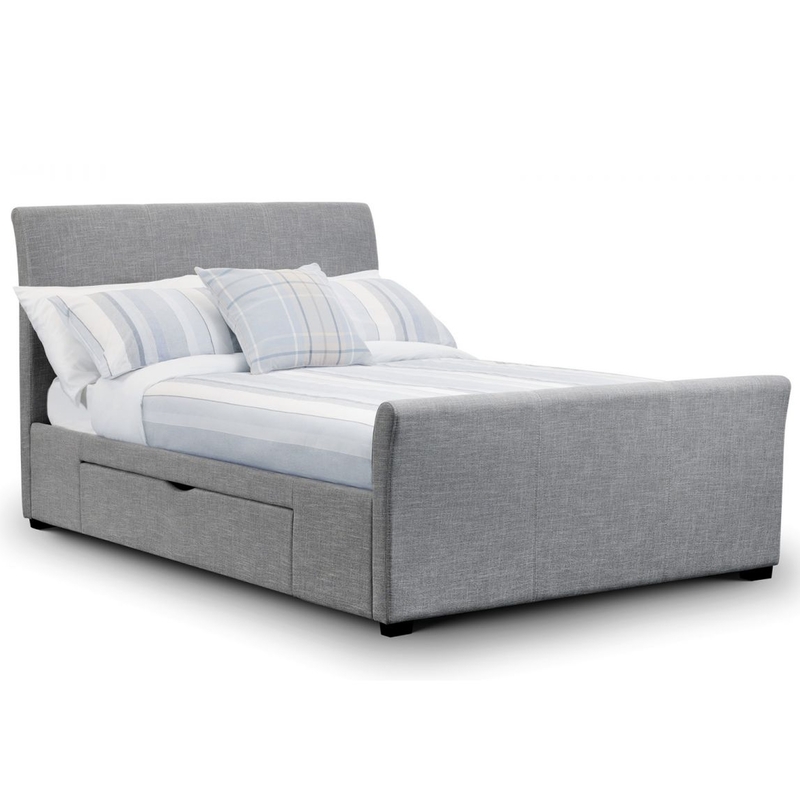 Add a contemporary style to your home by introducing this beautiful Grey Capri Fabric Bed with 2 Drawers. This bed contains a lovely design that's very minimalistic, making it look very modern. This bed is created from a hardwood frame and is given a light grey linen effect fabric to make it look especially contemporary. This bed also contains 2 drawers, making it very practical.